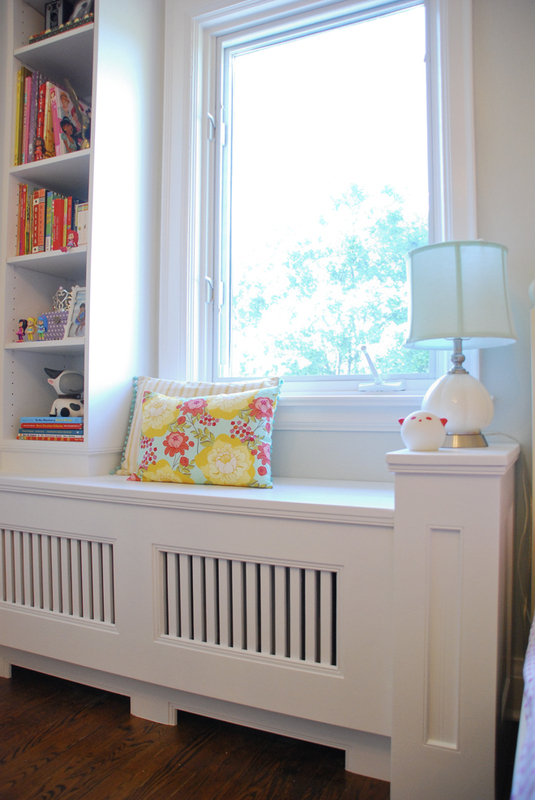 One of the things Chloe loved about her old bedroom was the window bench. She loved to lie there and listen to the birds outside and watch the clouds roll by. Now she can do that in her new bedroom too! 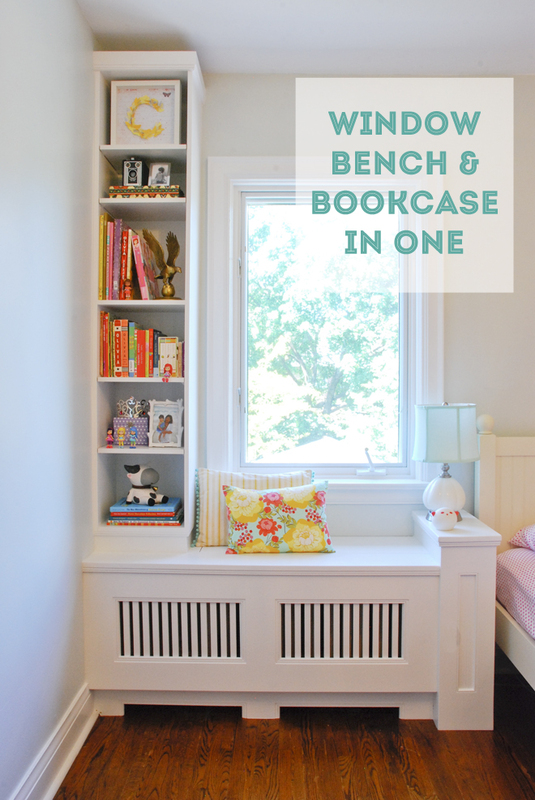 HandyMan really outdid himself with building this window bench & bookcase in one. 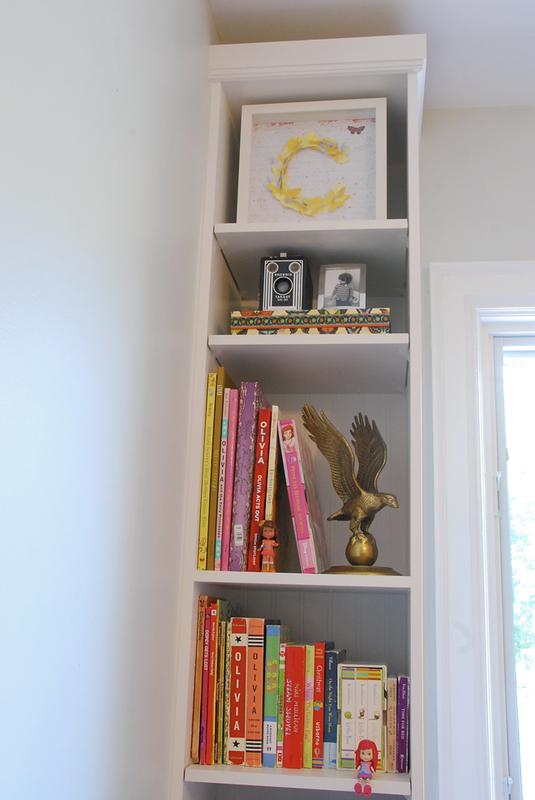 He was able to make it mostly out of scrap materials we had leftover from the basement renovation. 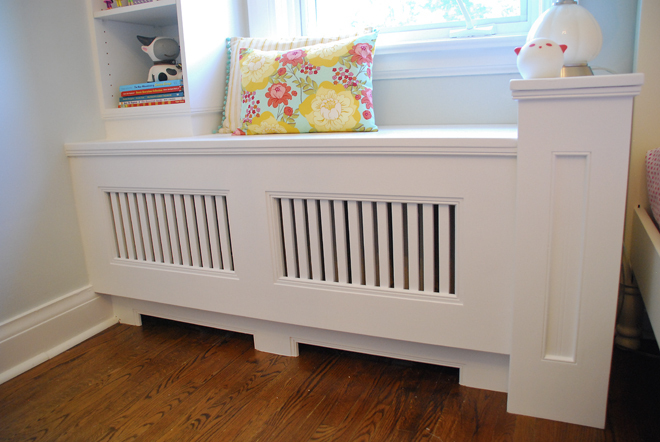 Chloe's bed has beadboard details so we added some of that on the post and sides of the bench. 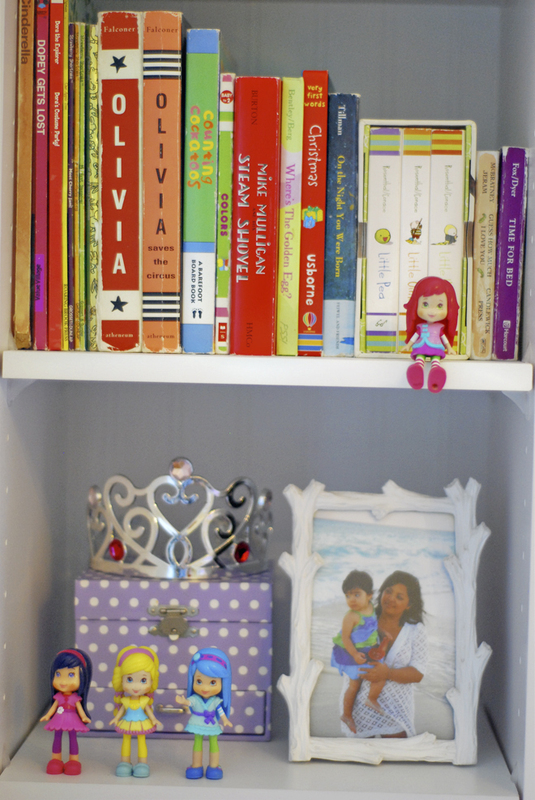 I've had fun filling the shelves with Chloe's books and accessories. 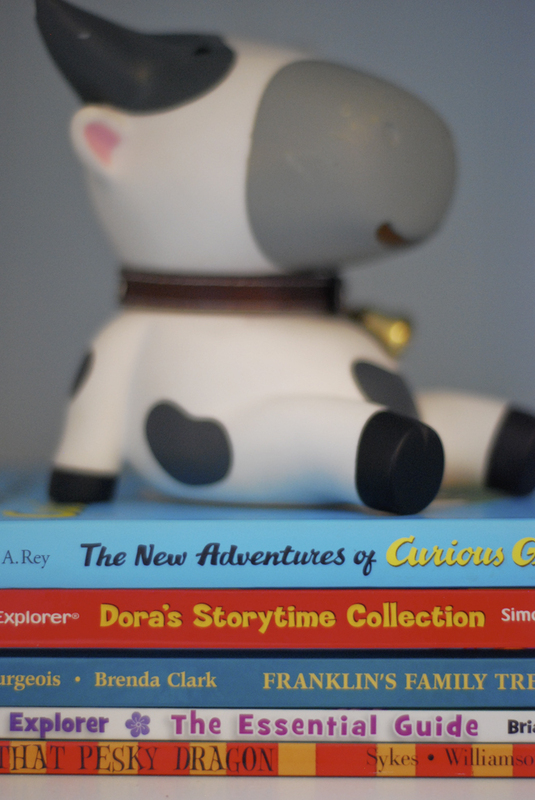 Strawberry Shortcake and her friends are favourites around here. 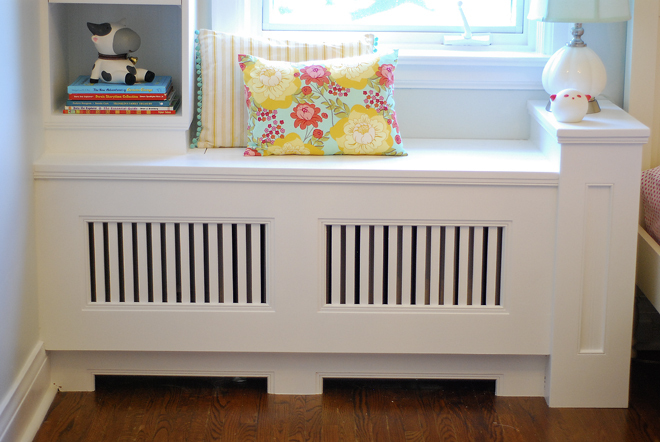 The trimwork, the modern slats, the recessed base... the details really make this bench special. 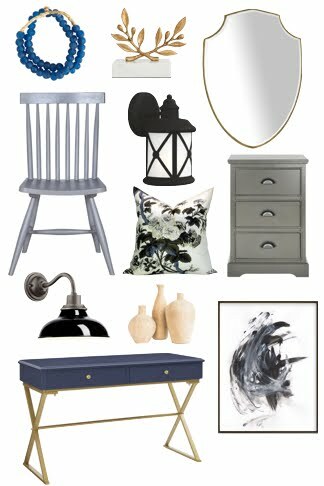 We contemplated adding furniture feet in front of the three posts under the bench but we couldn't find the right feet to make it work. I really like the cleaner look without them. And this is it now!